Sanya authorities have destroyed large quantities of fake products worth 500,000 on March 15, the World’s Consumer Rights Day, in an effort to bring attention to the government’s battle against counterfeit goods. 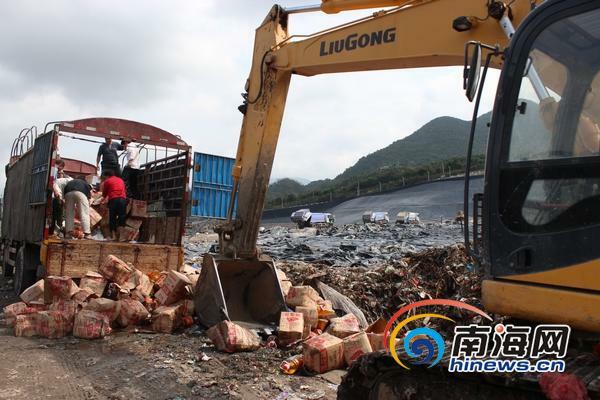 The destroyed products involve 125 items such as edible oil, alcohols, tobacco and brand watches with a total of 570,685 yuan. In recent years, the local Industrial and Commerce Bureau has mainly targeted food, medicine, daily necessities and home supply appliances, which are closely related to consumer life. According to statistics, in 2011, the bureau received 3,794 consumer complaints and dealt with 578 illegal economic cases and confiscated fake products worth 3.2 million yuan.